Mystery solved! 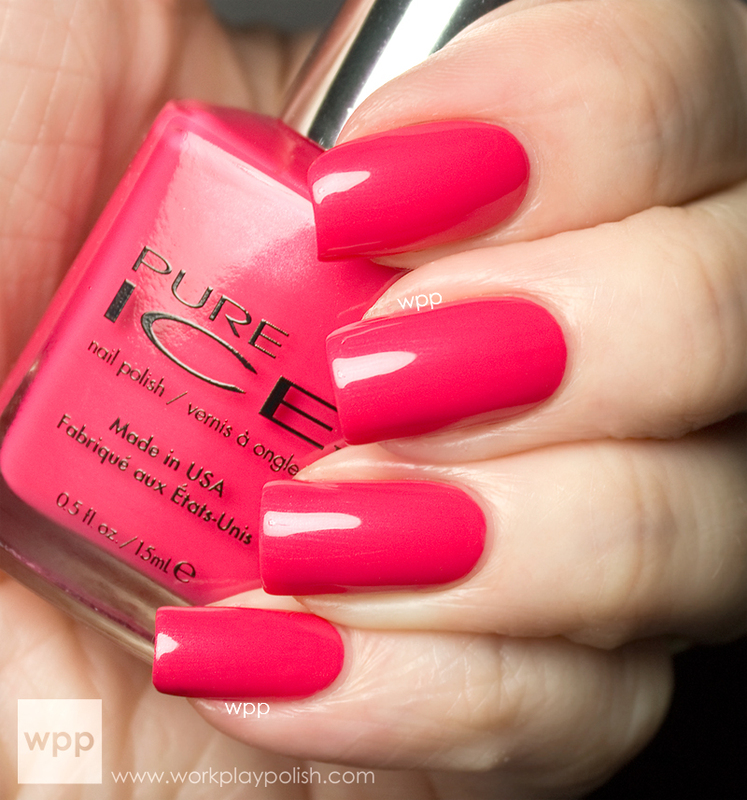 Pure Ice finally announced (via facebook) the seven shades that make up the Belle of the Ball Collection. I know at one point there was speculation that there were eight shades total (which panicked me because I only got seven!) Today I have swatches of them all. Such a pretty bunch! I’ll start with the collection’s namesake, Belle of the Ball. It’s a medium pink that leans a little coral. It has the very teensiest hint of shimmer. It’s a pretty shade and the formula was nice. This is two coats. I showed you Castle of Dreams before. It’s the mystery polish I got several weeks ago in some samples from Pure Ice PR. Castle of Dreams is a sweet periwinkle blue crème. My swatch is two easy coats. Fairy Godmother is a medium purple crème. I love it because it’s sort of deep and bright at the same time. This one was a bit thinner than the others, but still opaque in two coats. Touch of Glamour is another bright pink crème. The formula was really nice…a little thicker, but that’s what I like. It was opaque in two coats and really shiny with a topcoat. Playful Princess is a medium teal cream. If you line up Butter LONDON Slapper and A-England Galahad, Playful Princess falls dead center. Not as blue as Galahad and not as green as Slapper. Again, my swatch is two coats. Notice how it’s in the old Pure Ice bottle. Isn’t that strange? Of all the polishes, I think Starry Night has the most obvious shimmer (although it’s still very subtle). It’s very similar to Pure Ice Free Spirit. It’s maaaybe a touch darker…but you certainly don’t need both. And finally we have Riding in Style. Wowza! Protect your eyes! It has the same shimmer as Starry Night. I didn’t do a side-by-side comparison, but this reminds me of Essie Hip-Anema. This is two coats. I can honestly say I like every single polish in the collection. Fairy Godmother and a Touch of Glamour (the pink one, of course) are my faves. But you really can’t go wrong with good formula and a $1.97 price tag. Even if you snag a dupe, you’re not out much. This collection is Limited Edition. Often Pure Ice brings back colors with new names later – so even if you don’t get your hands on these…there’s still a chance in the future they’ll be available. 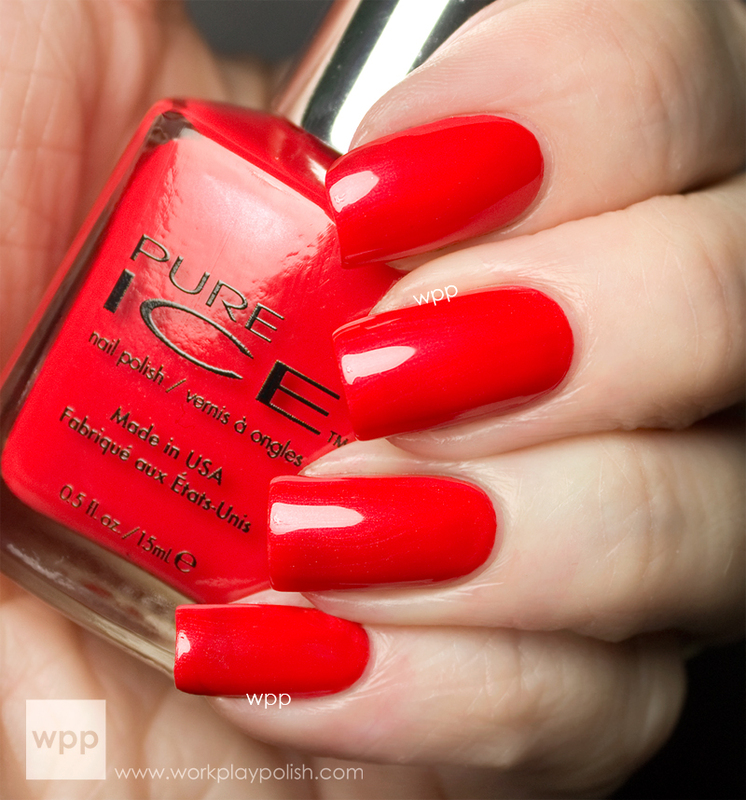 The Pure Ice Belle of the Ball Collection is available at Walmart stores nationwide for $1.97 each. 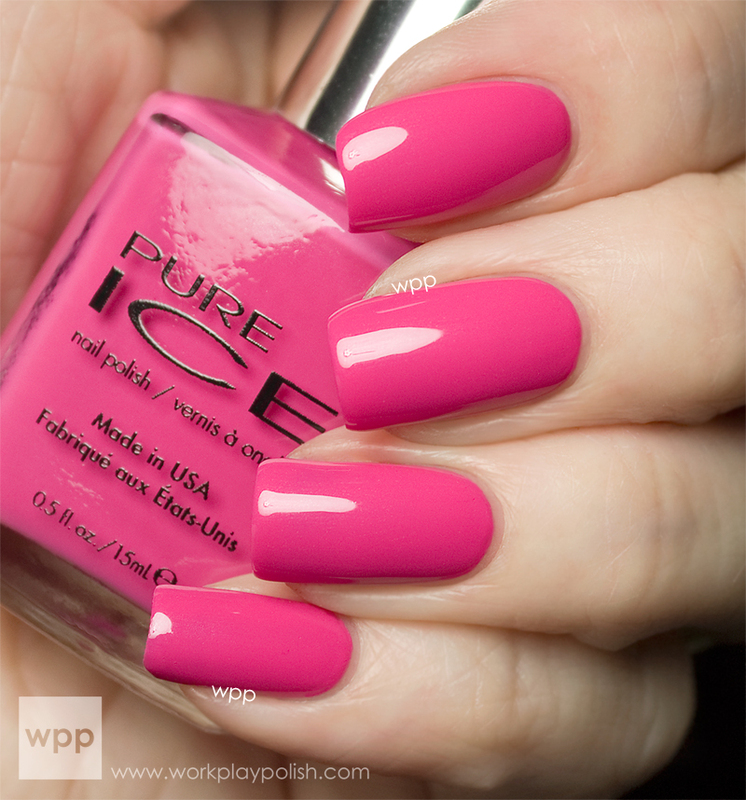 For more information, visit www.pureicecosmetics.com or follow OfficialPureIce on Facebook, Twitter and Instagram. 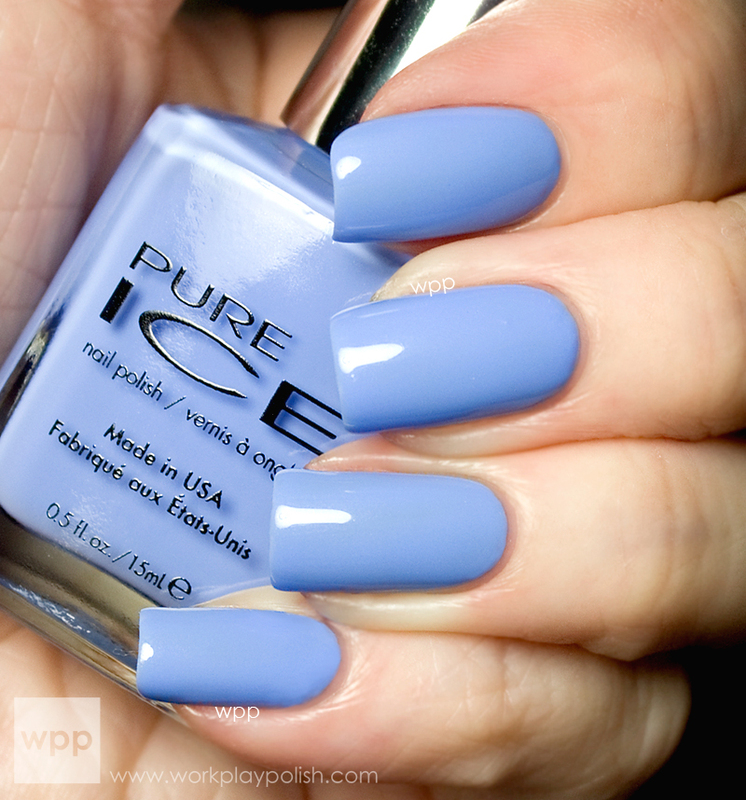 Join the conversation by using the hashtag #PureIce.